ZAMBIA'S Director of Public Prosecutions (DPP) Lilian Siyuni. 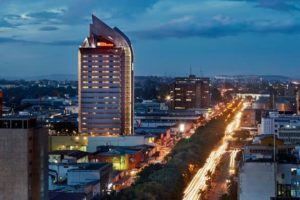 WE JOIN Director of Public Prosecutions (DPP) Lilian Siyuni and Patriotic Front (PF) secretary general Davies Mwila in condemning disillusioned Zambians in the habit of abusing their human rights by disparaging the head of State. The DPP condemns those abusing their human rights by demeaning the head of State, adding that it is wrong and morally bad for Africans, especially Zambians. 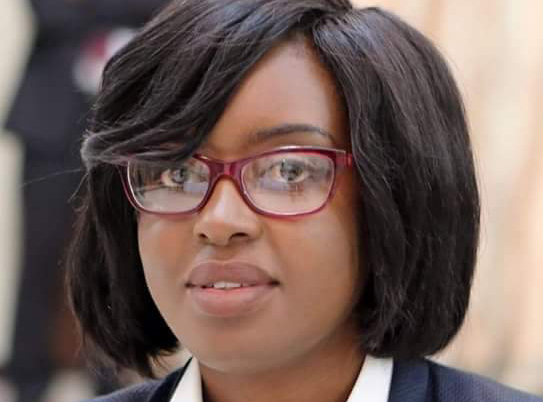 The PF secretary general also recently cautioned emerging African opposition leaders against a retrogressive trend of insulting sitting presidents in efforts to advance their political ambitions. It is saddening that some morally bankrupt citizens and politicians are hiding behind the face of human rights and social media to hurl unkind words on the head of State. This behaviour is indeed primitive and should not be entertained in this modern day but instead be relegated to the Stone Age. As Africans, our culture demands respect for individuals, and much more for elders and those in office of authority. It therefore goes that the President as an individual deserves respect and much more now that he is in authority and holds the highest office in the land. While some people may not like the occupant of the office, one thing should be understood that the Presidency is an institution which deserves to be respected by all citizens regardless of their political affiliation and opinions. 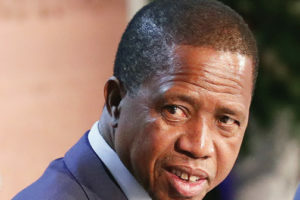 By virtue of his office and more than anyone else, Mr Lungu is the man who epitomises the country, its people and its beliefs as reflected in his roles and should therefore be accorded the due respect. However, those who use social media or indeed other such platforms to insult the head of State should be reminded that demeaning the Presidency is punishable by law. In view of the increasing trend of people just waking up and insulting the President, there is need for law enforcers to be proactive and enforce the law to preserve the dignity of the Presidency. If the office of the Presidency loses its dignity, it means the whole country loses dignity. This is because demeaning the Presidency is also a direct attack on the country as a whole and all its citizens. Politicians, especially those with ambitions of occupying the office, should desist from insulting those serving in this office. This is because no man is exempt from the law of sowing or reaping. The Bible says God cannot be mocked; whatever a man sows, that also he shall reap. It therefore means that if their time to occupy the office was to come at all, they would surely be treated the same way. And for those who have no ambitions of ascending to that high office, or taking up leadership roles, the unkind words will still follow them wherever they will be. As a Christian nation, it is a violation of biblical principles to insult those in authority. 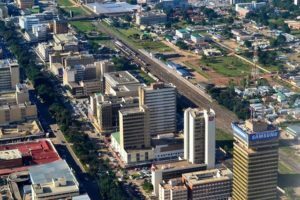 It is, therefore, not optional for any Zambian citizen to respect the leadership that God has put in place whether they approve of it or not. Failure to acknowledge the governing leadership is a direct rebellion against God. The Bible says God detests rebellion and actually equates it to witchcraft. Above all, let patriotism and national interest take precedence in all our actions, and respecting the Presidency is the starting point.